NATIONAL First Division side FC Cape Town have sold their status to Ubuntu Cape Town FC. Tha club has been playing in the NFD for the past 10 years without any success to the Absa Premiership. Last season the finished the season sitting on position 13 with 34 points. They were only three points aw3auy from being relegated to ABC Motsepe League. Their 1-0 victory against AmaZulu in the last day of the NFD matches played a key role on ensuring that the club don’t go down to the third division. “FC Cape Town can confirm our NFD franchise has been sold to Ubuntu Cape Town FC, with NSL approval received on Friday 30th June. The decision was made with an extremely heavy heart, but after 15 great years and being the longest serving Chairman in the NFD, Mr Errol Dicks has regretfully sold the franchise. The African Beasts endured an incredible end to the season with 3 home victories on the trot including a victory over promotion chasing AmaZulu on the final day of the season; a truly beastly performance and a fitting end to 15 wonderful years of the African Beasts! The Ubuntu Football Trust have built a strong reputation in youth development since inception in 2011, and look forward to taking this next step into senior professional football. The proposed new club name will be Ubuntu Cape Town FC, subject to NSL approval of this name registration. 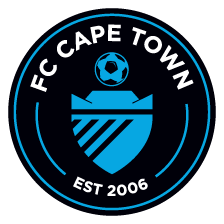 “FC Cape Town’s philosophy has always been youth development whilst producing world class football brands to ultimately change people’s lives. We have created avenues for 12 players in Europe and 15 players to the PSL in the last 6 years; unprecedented in Africa! While we say goodbye to NFD football, we can assure the entire African Beast family that we are committed to continue our philosophies throughout South African football and across Africa. Our African footprint has evolved. Currently we proudly ensure hundreds of clubs in Africa receive their due reward for their role they contributed in the development of Africa’s superstars. In conjunction with our international network and our professional European team, we use our expertise to represent clubs, coaches and players achieve exposure on the world football stage. Mr Errol Dicks remains the owner of the FC Cape Town brand, and we will continue to fly the FC Cape Town flag high through our new ventures. We are certain that the franchise and our players are in very good hands under the leadership and structures at Ubuntu. Keeping the franchise in Cape Town, along with the Ubuntu vision were important factors in our decision. We wish Ubuntu every success going forward along with our ongoing support. We would like to sincerely thank all our supporters, players and coaches who over the past 15 years have become our family.